Tyre inflators are often overlooked, but they can turn out to be real lifesavers in dire situations. 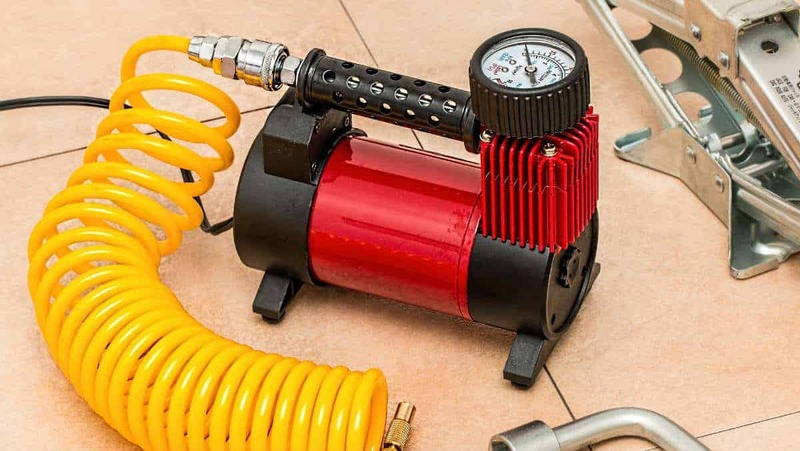 If you happen to find yourself stranded by the side of the road with a flat and can’t wait for roadside services, a portable air compressor can inflate that tyre within minutes and get you to the nearest tyre shop or petrol station. There are hundreds different tyre inflators available on the market today though, and choosing the right one can be tricky to say the least. Before we give you a few suggestions, here’s what you need to look out for in a good air compressor. An air compressor should be reasonably compact and easy to move around. It shouldn’t take up half your boot or weigh a ton. You’ll want an inflator that can easily reach all four tyres with minimal effort. Remember that you’ll most likely be carrying it around with you at all times, so if you can find one that can be easily stored in the area underneath the boot beside the spare tyre, all the better. Manual air compressors work just fine, but having an automated one is that much more convenient nowadays. Simply set the desired PSI, attach it to the tyre, and wait until the desired pressure has been achieved. It’s no more complicated than turning the key to start the engine. Although this isn’t a deal breaker, some air compressors are noticeably faster than others. And, if you can find one which won’t take ages to fill the tyres up with air, why not go for that one? As they say, time is money, so why waste it. Check air compressor ratings to find out how quickly they fill up small, medium and large car tyres. A lot of air compressors work with tyres of all sizes, but a few can only manage small and medium tyres. If you have a truck or a van, maybe opt for a bigger, more capable compressor so it doesn’t run out of puff before the tyre’s fully inflated. EASY TO USE. Guarantee accuracy with the autostop feature. Preset the pressure you need for your tyre, press start, and the inflator will automatically stop at the correct pressure. Backlit Digital Gauge: Exactly display number to avoid guesswork from analog dial, backlit screen show clearly and accurate pressure even in darkness. Efficiency: 27L/min strong air flow for fast recover your safe tyres. High-speed cooling bring safer, design for frequent inflate. Inflates your tyres with zero effort. Easy to Use: Preset the pressure you need, and it will automatically shut off once the desired pressure is reached. Universal: Multiple adapters for car tires, sport balls and air mattress. Strong lighting can be a emergency torch in dark. SIMPLE TO USE - This inflator has all the essential features and some extras that you will need to keep your tyres maintained at the right pressure. It pumps a mid-sized car tire from flat to 30 Psi in under 5 minutes. Max inflation pressure 100 Psi (6.9 Bar). Plug in to 12 V outlet, connect to your tyre valve , set your desired pressure on the LCD display gauge , turn on and the pump will automatically stop at the pre-set pressure +/- 1Psi. Quick and easy, anyone can do it. VERSATILE - Use for Car, Bicycle , Motorcycle , RV , SUV , ATV (Trucks not supported) . Also, Sports Equipment and inflatables. Massive reach of over 13 feet will access all tires on your vehicle from the 12 Volt DC cigarette lighter plug or any 12V outlet. Connect to mains AC supply with our AC/DC 240V Converter (sold separately). FAST TYRE MAINTENANCE: inflates a 13" tyre to 35psi in under 3 minutes. Fast, efficient tyre maintenance that saves you time. AUTO EXPRESS FAVOURITE: winner of the Auto Express mini test in, they gave the RAC630 five stars and call it "the best all-rounder". Red light for SOS and white light for night time illumination, helping you to inflate your tyre on the roadside in the darkACCURATE INFLATION: auto stop feature means you can accurately inflate your tyres to the correct pressure. Just set the desired pressure, press start and the inflator will automatically stop at the preset pressure. SAFER NIGHT TIME USE: includes LED light with two settings to see and be seen. White light makes inflation at night easier, while flashing red SOS light attracts attention in an emergency or breakdown. TIDY STORAGE: airline and cable are neatly stored on the device, and it comes with a case to keep it neatly in the boot. VERSATILE INFLATOR: comes with 5 pieces adaptor kit, making it ideal for tyre maintenance as well as using with air beds, paddling pools, bicycle tyres and more. Ideal for car maintenance and camping: comes with LED light as well as airbed setting - this is an ideal compressor to use for both car maintenance and camping. INFLATOR/DEFLATOR: Inflates a tyre in under 3 minutes, saving you time, and has deflation setting as well. ACCURATE INFLATION: auto stop preset function ensures accuracy when inflating. Simply set the pressure you need, press start, and the RAC640 automatically stops at the correct pressure. TIDY STORAGE: comes with case for the air compressor and adaptor kit, so you can keep it stored neatly in the garage or the car. SEE IT IN ACTION: watch the video to see the RAC640 in action - easy and reliable tyre maintenance. Suitable for Motorcyles, Cars, Vans, Bikes, Balls, Inflatables etc.